Target: For Ableton Live users with some experience who would like to push their sound design and production skillset to the next level with Ableton Live. Also for experienced Live 9 users who wish to take full advantage of the new features and workflows in Live 10. Description: In this 2-day intensive course, you will learn the ins and outs of advanced features of Ableton Live 10: extended racks for custom-made instruments and effects; getting MIDI-to-Audio conversion right; advanced automation techniques; workflow tips and tricks; multiple MIDI Clip editing; live and production setups for controllers; best effects routing strategies (including side-chaining tips); how to work Live’s compressors to your advantage; secrets for creating powerful templates to accelerate your workflows; using the Simpler and analog filter emulations, the new Wavetable synthesizer and Echo effect, and much more. 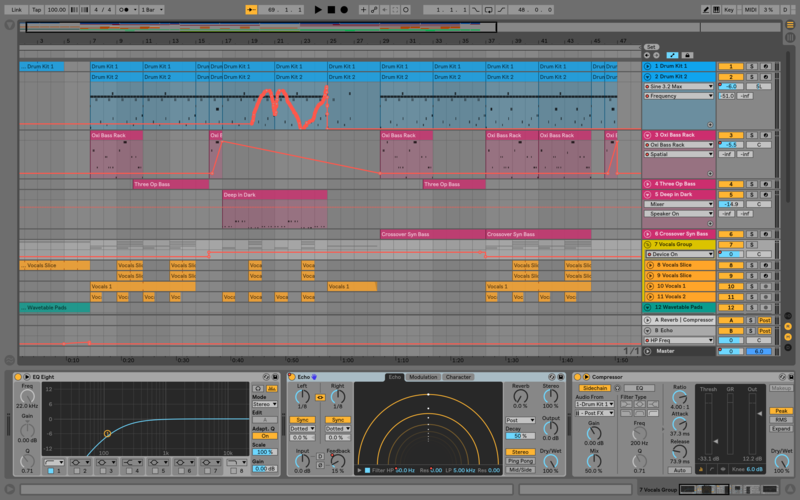 Using direct examples that we create in class, we work our way through advanced topics in producing music with Ableton Live during the weekend. Each participant will create their own Live sets, creating working examples of every point we cover in class. We will also learn the basics of Max for Live, especially from a musician’s and producer’s point of view, while learning the ins and outs of Max for Live Instruments and Audio and MIDI Effects, greatly enhancing your productions. Impulse, Simple, and Sampler: which, when, and how?